Pollinators are the buzzing, flying critters responsible for the formation of many of the fruits and veggies that we humans love to eat. Planting for pollinators is a colorful way to attract interesting and beautiful birds, butterflies, bees, and insects to your garden while increasing the productivity of your edible plants. 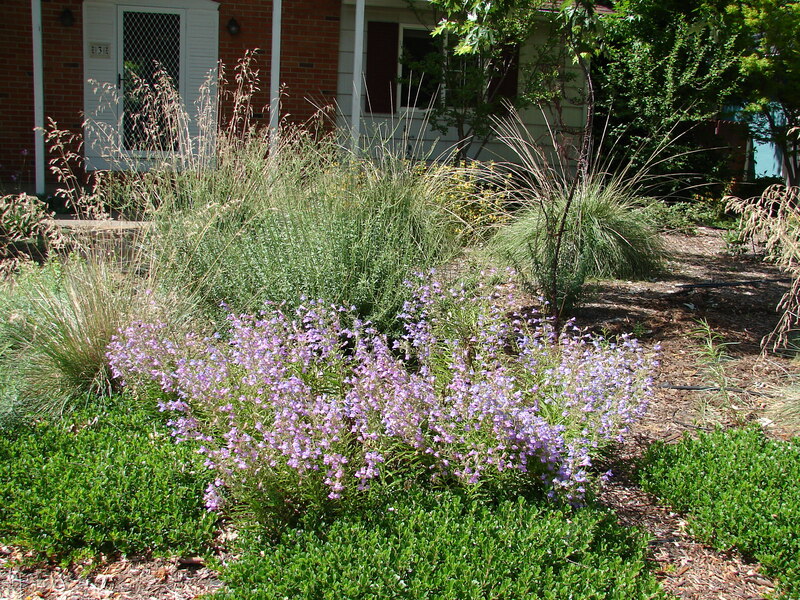 The following native plants will do the trick with little to no supplemental water after the first year. Pollen is found in the flowers of plants and different pollinators prefer different shaped flowers to accommodate their personal anatomy. Hummingbirds, for example, reach into tubular flowers with their long, thin beaks while hovering. 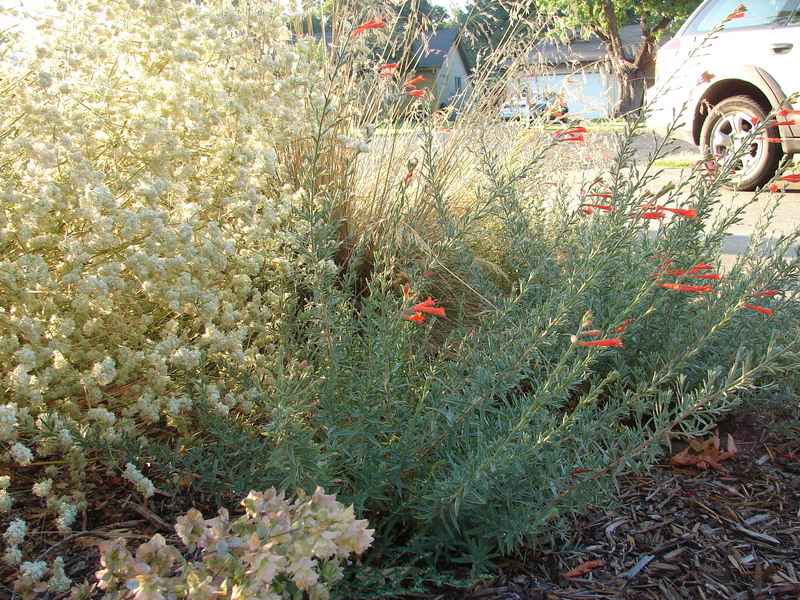 California Fuchsia, Zauschneria canum, a deciduous ground cover native to the foothills of Butte County, is covered with hummer-magnetic brilliant orange-red flowers tubes from mid-summer through fall. Plant in part to full sun areas of your garden. or Eriogum fasciculatum (California Buckwheat). Sit quietly and watch numerous species of tiny (non-stinging) native bees and wasps harvest nectar from the ball-like flower clusters of these beautiful plants. See if you can spot 1/4″ long metallic green sweat bees among the crowd. Carpenter bees, known in my family as ‘Beezilla’ due to their Reubenesque proportions, relish the electric purple flowers of Penstemon heterophyllus (Foothill Penstemon). Paired with California Poppies in full sun, you’ll get that classic California orange-purple color combo each spring and enjoy watching the big guys dive bomb your garden. 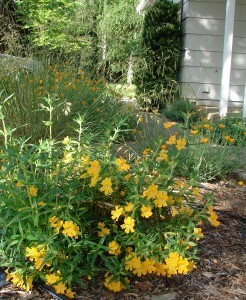 Stickey Monkey Flower, Diplacus aurianticus, offers deep, wide tubular flowers that provide a helpful ‘landing pad’ for several species of butterflies and bees. Hummers love them, too. 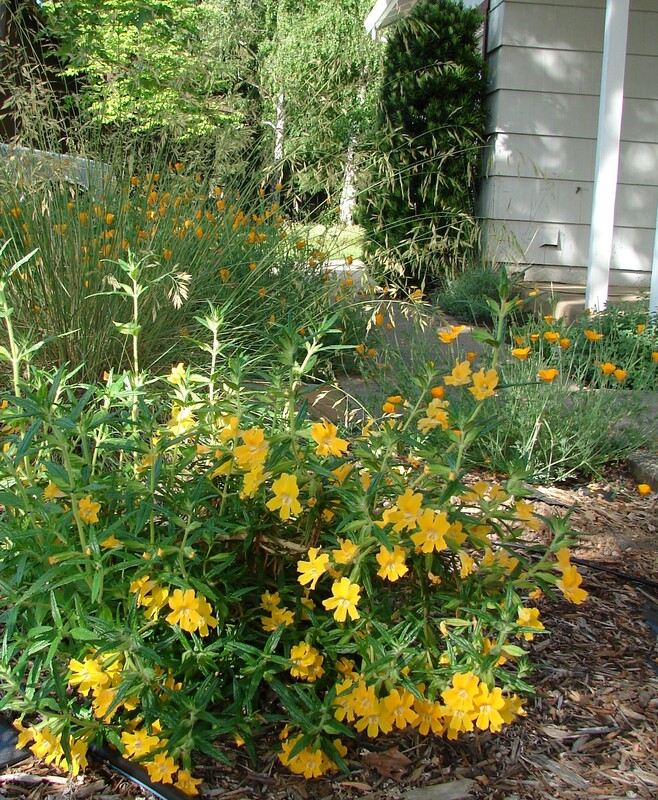 The soft orangey yellow blossoms light up part shade gardens in the spring. 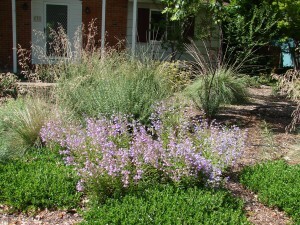 Planting for pollinators is an easy and fun way to add a new dimension of interest to your native garden! 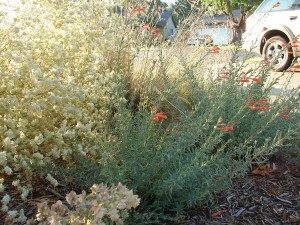 This entry was posted in Uncategorized and tagged beneficial insects, CA buckwheat, CA fuchsia, foothill penstemon, hummingbirds in the garden, native bees, native plants that attract pollinators, planting for beneficial insects, planting for pollinators, pollinators, sticky monkey flower on August 17, 2013 by admin.